Very Good. The Big Book of Fun! : Boredom-Busting Games, Jokes, Puzzles, Mazes, and More Fun Stuff by National Geogra. Trade paperback (US). Glued binding. 80 p. Contains: Illustrations, color. Intended for a juvenile audience. Good. 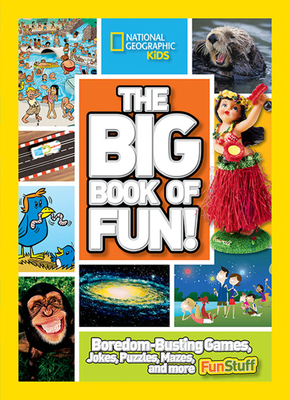 The Big Book of Fun! : Boredom-Busting Games, Jokes, Puzzles, Mazes, and More Fun Stuff by National Geogra. Trade paperback (US). Glued binding. 80 p. Contains: Illustrations, color. Intended for a juvenile audience. New. Trade paperback (US). Glued binding. 80 p. Contains: Illustrations, color. Intended for a juvenile audience. Very Good. 142630661X Minor shelf wear.